JARTOM is a Polish owned and managed company, based in Warsaw. It has experienced, dynamic and customer oriented team consisting of professionals who believe that the property business is more than buying, selling or leasing - it's all about exceptional personal service for our deeply valued Clients. Since opening it's doors in 1992 JARTOM team has mastered entirely professional approach to all aspects of the industrial and warehouse real estate market. Long-term relationships with Customers, returning Clients as well as their strong referrals have become an integral part of our ongoing success on the market. 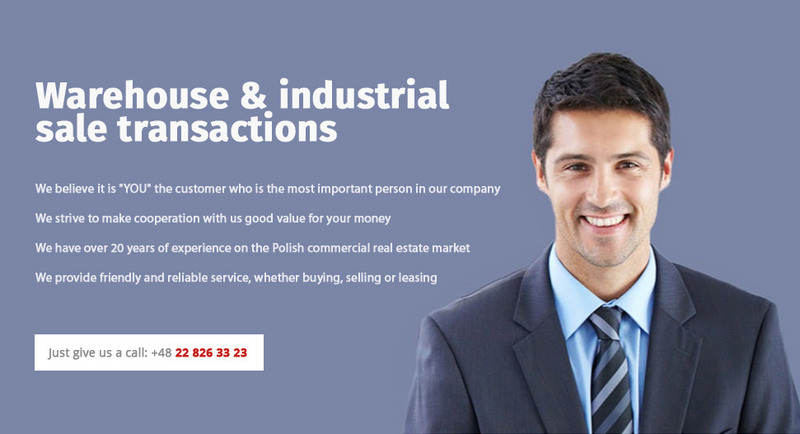 What’s more, we maintain a tradition of consistent and high quality real estate advisory services, enjoying at the same time genuine reputation as true professionals operating on the Polish real estate market. The dedicated sales team is mature and highly trained with the ability to negotiate the best deal for vendors, buyers, owners or tenants. In the course of our work we take advantage of sophisticated internet technology to deliver fast and efficient results, which enables us to provide affordable marketing strategies that tap into the Polish market.